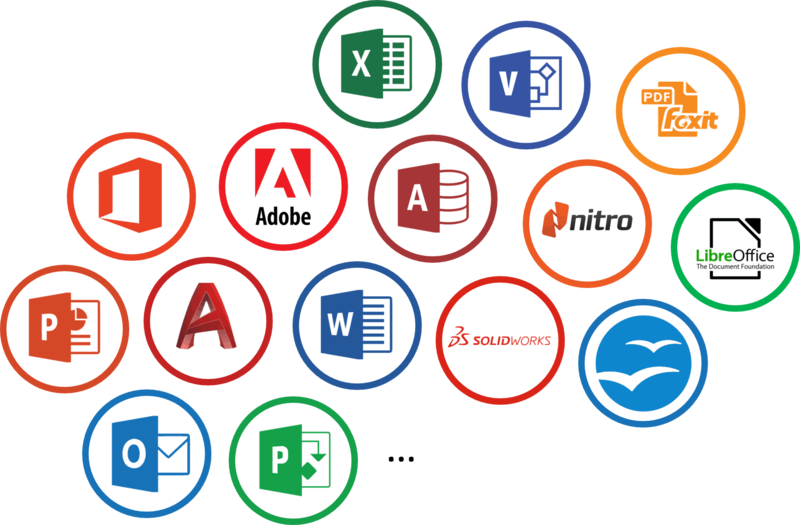 Office, PDF, LibreOffice/OpenOffice, CAD, Visio, Access... the most comprehensive support on the market. SealPath provides the most comprehensive file format support on the market. It includes not only Word, Excel, PowerPoint and PDF but others such as Visio, Access, OpenOffice, LibreOffice, images, text, audio, video, source code, etc. 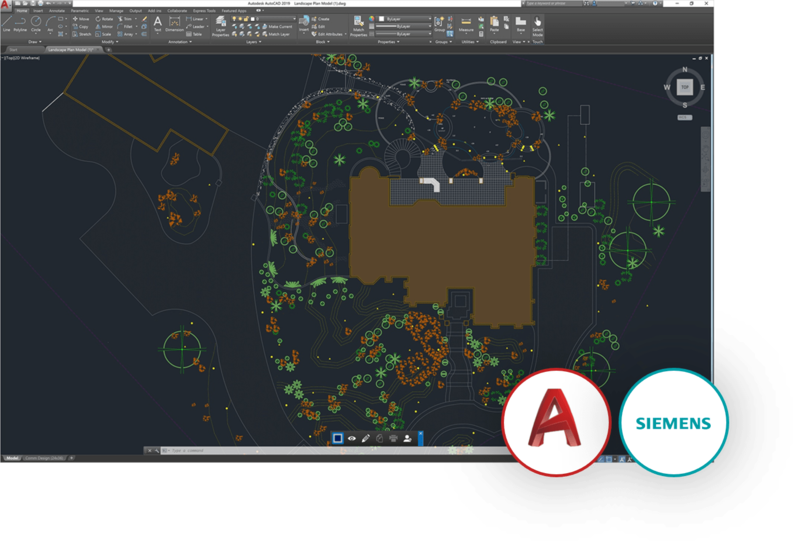 In addition to formats typically used in office automation, it also supports design formats such as AutoCAD and Siemens JT. format. SealPath enables you to protect your 2D and 3D CAD designs and control who accesses them, when and with what permission, etc. 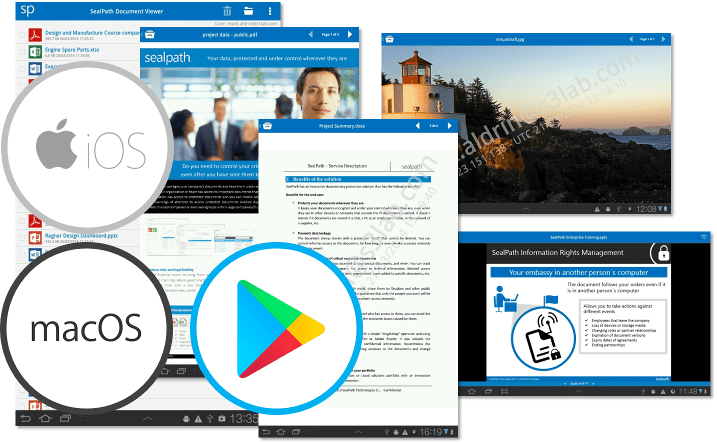 SealPath does not employ viewers for these formats but the original AutoDesk and Siemens applications. Display your protected documents on your iPhone, Android, iPad or on a Mac computer. You only need to download the app from AppStore, Google Play or iTunes without charge. It enables you to open both protected and unprotected files with a simple interface. It displays watermarks to prevent screenshots and enables offline access to documents if the document owner has configured it to do so.